Great cupcake photography never goes out of style. 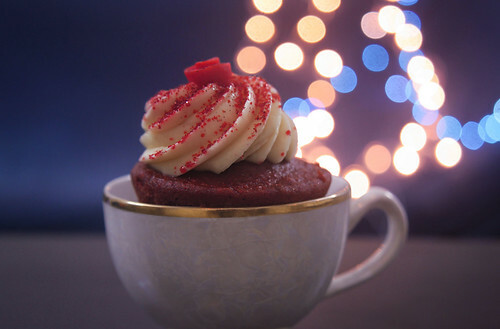 This cup of cake photo is by Tejal Pandkar. By the way, have you made a single cupcake in a cup? I tried to make a chocolate cupcake in a coffee mug last week and failed. It was a gooey chocolate mess.